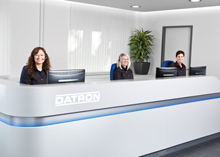 DATRON AG offers Germany's best company training in 2018. 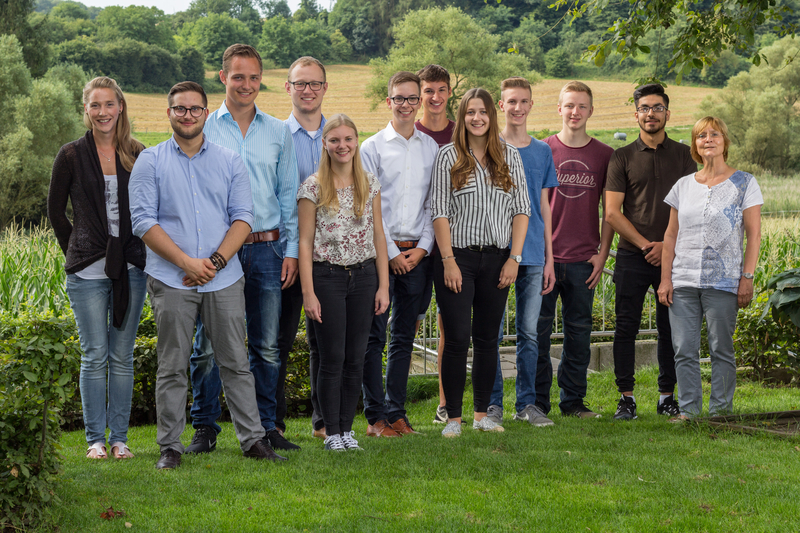 Mühltal, 16th April, 2018 – Every year, more than half a million teenagers begin their apprenticeship. A central question for future apprentices is, next to the choice of their career, certainly: Which company trains me right? A study commissioned by “Deutschland Test” and the business magazine “Focus Money” explored this question. The study was based on the country's 20,000 strongest employees, including DATRON AG in the area of mechanical engineering. The result is a "Training Atlas for Germany" - with the best apprenticing companies from more than 90 industries. Training success, structural data and educational pay were analyzed. "With our apprenticeships, we focus on an attractive, fruitful mixture of technically and commercially demanding specialist training, personal support and social integration in the entire company from day 1. The feedback from our apprentices is genuinely positive throughout the whole training period, and we value the open dialogue with our young adults, who "rejuvenate" our team year after year in various areas of our business. The fact that our focussed and practical training work gives us a place in the training atlas is a praise that we gladly accept and share with our apprentices. Because they are one of the pillars of our general success, "commented Dr. Arne Brüsch, CEO of the mechanical engineering specialist DATRON, the award. 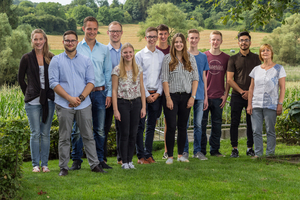 Among other things, DATRON AG trains mechatronics specialists, industrial clerks, office management apprentices and, since the summer of 2016, an apprentice for dialogue marketing. For the first time from the summer of 2018, there will be the opportunity to learn the profession of media designer in digital and print in Mühltal. Currently being advertised for the summer of 2019, the apprenticeships are mechatronics and industrial management. If you do not want to wait for this, you can now apply for an apprenticeship in dialogue marketing, starting in summer 2018. Further information at: www.karriere.datron.de. The study "Germany's best training companies" was commissioned by “Deutschland Test” and the business magazine “Focus Money” in collaboration with Prof. Dr. med. Werner Sarges. Sarges is one of the leading scientists and consultants in the field of suitability specific management issues. He is also known for his work at the Helmut Schmidt University (Hamburg) and is also director of the institute and consultant psychologist at the Institute for Management-Diagnostics (Barnitz near Hamburg). The results are based on a survey of the 20,000 largest SME in Germany. A questionnaire with various topics was sent to the respective businesses. To assess the quality of the apprenticeships, five sub-aspects were considered, with the following weighting included: structural data (24 percent), training success (24 percent), training allowance (16 percent), training rate (20 percent) and additional offers ( 16 percent). The overall result is based on the calculated score of the company. In addition, the different industry conditions were taken into account, for better comparability (...). Excerpt from the publisher's special publication of “Deutschland Test” and the business magazine “Focus Money”. The study of the text can be found here.